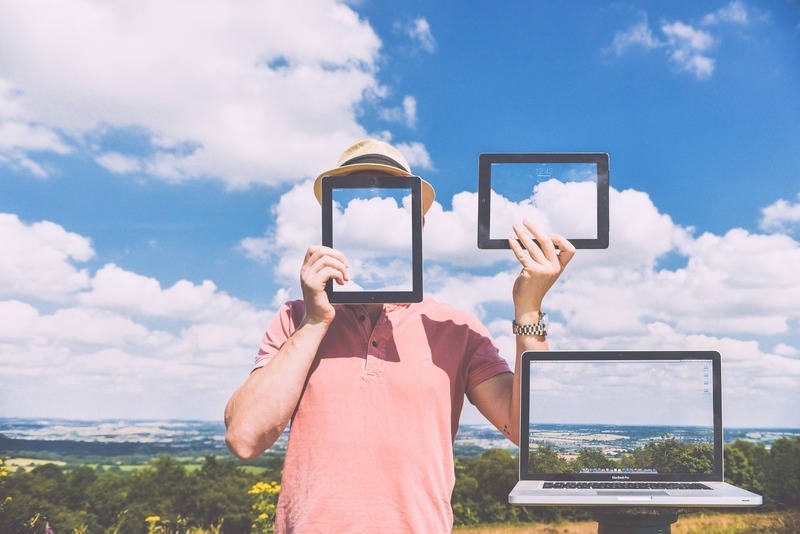 Angela Sweeney takes a look at cloud computing, what it is and how you can reap the benefits as a small business. 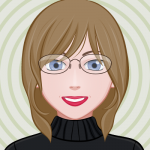 Angela looks at what’s involved, how the cloud has evolved and what options are available to you. She also takes a look into her crystal ball about the future of cloud computing. The underlying concepts that form cloud computing dates back to the 1950s, when large-scale mainframe computers became available in academia and corporations. But only of late has it become more known to small and medium businesses and even for personal use. It’s not just about safely storing your information, it is about redundancy: the capacity for the underlying mechanism’s function to survive the unsurvivable. A basic principle from which the internet was formed. Well cloud computing is the next stage in the Internet’s evolution, providing the means through which everything — from computing power to computing infrastructure, applications, business processes to personal collaboration — can be delivered to you as a service wherever and whenever you need them. The “cloud” in cloud computing can be defined as the set of hardware, networks, storage, services, and interfaces that combine to deliver aspects of computing as a service. 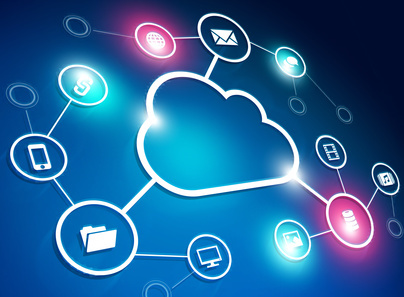 Cloud services include the delivery of software, infrastructure, and storage over the Internet (either as separate components or a complete platform) based on user demand. So, in theory, you never need to own a hard drive again. All of your information, documents, photograph; any media such as music or video, can be stored safely and retrieved as easily from the cloud. It really is that simple. Your whole digital life is stored with high redundancy on servers in a number of safe servers, distributed so that if one fails, your personal information remains intact and safe. The upshot of this is that you can store, retrieve and work on your information anywhere and when in the world. You don’t even need to own a computer anymore, you just need an account to log into and away you go. How does The Cloud benefit your business? If your business requires you to work from home and/or your employees need constant up to date access to documents and data, cloud storage makes a huge difference, and could save a substantial amount of time cutting out back and forth of emailing multiple documents attachments and data when it can be updated instantaneously. It helps for everybody with access to keep things tidy and organised to know where everything is. Picture it as a online office and filing cabinet, where you can be logical and put your documents where you know others will find them. How much capacity to I actually need? Well, let’s look at what we will call your digital footprint. It is almost impossible to envisage the amount of storage space an individual will need; luckily cloud storage is designed to grow and adjust according to individual and business needs. Obviously the bigger the footprint, the bigger the cost to maintain. OK, what’s in a life? Precious photos, home videos, personal e-mails from loved ones stored on your PC. School projects, your first university dissertation; important household documents and files. Your music collection. You are looking at more than the bog standard memory stick for it all. 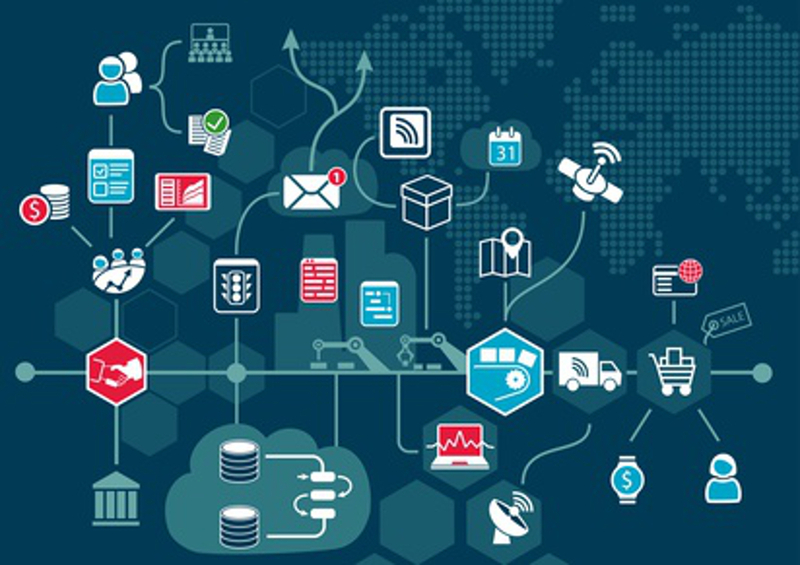 It sounds more than enough, but in the digital age, our information needs and the ability to create and store that information has grown exponentially. Our parents’ digital footprints would have been tiny by comparison. An ideal starting size for cloud storage would be 20 to 30 Gigabytes for an individual, and 100 Gigabytes for a small to medium sized business. And there would still be room for more. But that is no guarantee as your personal or business circumstances adapt and change over time. Always try to play it safe with storage size. • 81% of organizations have suffered from a data breach due to negligent or malicious employees or other insiders over the past two years. • 35% said that losing laptops and/or other mobile devices was the root cause of data breach incidents. 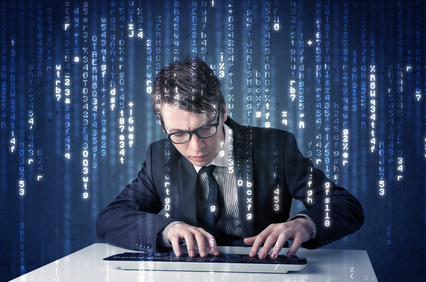 • 22% said malicious employees or other insiders was the root cause of data breach incidents. What cloud based system do you choose? Most of the cloud providers offer competitive deals, and there are deals to be had. Dropbox, one of the most popular cloud services double the amount of free space to users who invited their friends to the service to subscribe. For every friend that joins Dropbox on your recommendation, both you and your friend would get an additional 0.5 gigabyte of storage free; you can add up to 32 friends in total, allowing you an extra 16 gigabytes of free space. After your free space allocation, you have to start paying a small monthly maintenance subscription. Then there is what is known as ‘Infrastructure as a Service’ (IaaS). 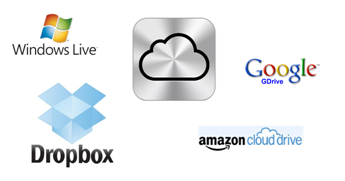 Companies such as Google, Microsoft, Apple, all offer the total cloud computing experience. All of your software, programs that you use everyday, are stored totally online. You no longer really need a computer as such, just a dumb terminal with a memory and an internet connection. Your computer is based totally in the clouds. No need to carry a laptop even, just go to a library or internet cafe, log in to your account and work as you usually would at home, anytime or anywhere. Amazon’s Cloud Drive provides users with 20Gb of free storage, and this also has the advantage in that it allows you to stream music. If you buy music from the Amazon store online, you can store that music without digging into your storage allocation, as it is stored separately. You will however need to install their software in order to upload your files, and for music and videos, you’ll need to use the Amazon Cloud Player software. The paid storage space goes up in tiers, and affordably so. Apple users have iCloud. This comes with 5Gb of free storage, and mobile customers with iPhones receive 20Gb. Like Amazon’s Cloud drive, anything you buy on iTunes doesn’t count towards your storage allocation. It also allows you to synchronise your email contacts between phone and emails, backs up your phone contents in case of a mishap, and much more. If you’re an Apple user however, you need to ensure that you’re running iOS5 or higher to realise its true potential. Older versions of the Mac operating system don’t work so well with the iCloud. Again, paid storage goes up in tiers of 10Gb, 20Gb or 50Gb. Dropbox. Probably the best known of the bunch, although to be fair it wasn’t the first cloud storage provider. It is however the one that made it popular and simple to use. No extras or frills, you can access it either through your browser or install a simple app that makes a folder on your desktop to drag, drop and store files and folder. That simple, that easy. 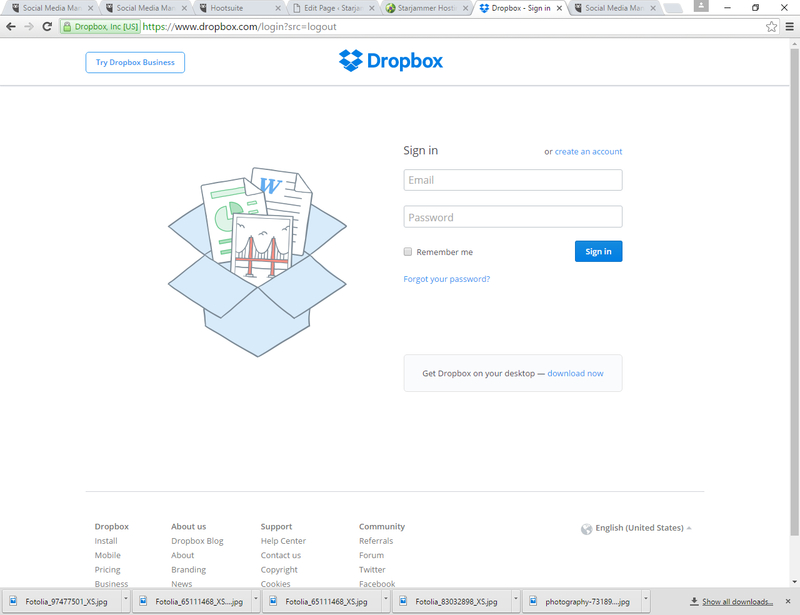 Dropbox use starts off free, but is chargeable after 2Gb or extra free storage space you acquire through referrals. It is also one of the more expensive of the services, but it is good for personal small use, and perhaps better for small and medium sized business use. Very easy to use and maintain. Google. Unsurprisingly, Google’s cloud based service Google Drive has a wealth of features that you’d expect from the ubiquitous internet brand. Rumours about the cloud service being developed were circulating the internet as early as 2006, the service finally went live in 2012, and now has over 120 million active users. Each user also has access to the Google Docs suite of online software. This gives the user a range of compatible and collaborative office tools that allow them to privately or publically share information. Users are given an initial 15Gb of space, shared across its three most used services – Drive, Gmail and Google Plus, their social networking platform. Google docs do not count towards the user quota, neither do images less than 2048 pixels square or video files less than 15 minutes long. The pricing structure is reasonable, ranging from $24 per year for 100Gb upwards. Microsoft OneDrive allows users to upload and synchronise files on the cloud, and access them from any platform, be it a web browser or mobile phone. Part of the Windows Live range of online services, it also offers a business package. Users can fileshare publically or in private, and offers an initial 7Gb of free storage. There are four storage plans and these can be chosen in relation to your data storage needs. Files can be dragged and dropped into the web browser, and integrates fully with the latest versions of Microsoft Office, allowing for greater document collaboration and version control than before, and interfaces well with the current social networking platforms. So cloud computing is at a crossroads; logically, it should be the next big thing, and at the same time, it is a deeply flawed concept. To many, it’s a conundrum. To others, it represents a new level of security and reliability. The questions are, how secure, how reliable, and how adaptable? Some of the same questions asked about the internet twenty five years ago. And look where we are now? Looking for monsters under the bed again. On the one hand, people like the fact that their data is potentially stored safely and securely. On the other, people are possession driven – they like these things directly to hand, which it isn’t when you’re paying someone else to look after it for you. The other obvious question is, what happens when you don’t pay the bill? The truth is, the previous generation will always try and scare the current generation into playing ball and keeping the status quo. When the old guard have retired, this generation will no doubt find something else far more scary to worry about than The Cloud, something to put the wind up tomorrow’s IT bods. There are no real hard and fast answers. What is clear, is that history does repeat itself, and perhaps in another twenty ish years time, we’ll be running an article about Twenty Five years of Cloud Computing. 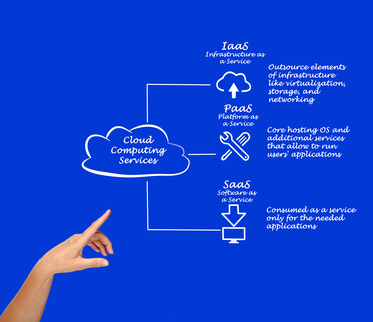 Cloud Computing – Is it Really All That Beneficial?